Discussion in 'Project CARS 2' started by GTPNewsWire, Mar 7, 2017. An exciting addition to the ever-expanding roster of vehicles in the upcoming sim. This article was published by Calvin Kirstein (@calvins48) on March 7th, 2017 in the Automotive News category. gt6champnk69, F1Racer68, Chikane and 3 others like this. That's great! But what's even more impressive is the sound this thing makes in that short vid. Hard to believe it's from a game. jonyvf, breyzipp and forzaturismo like this. I have never seen the word "teaser" used more aptly. I blinked and missed the tease entirely. davidt33, breyzipp and F1Racer68 like this. Nice looking car, but it kind of look like a Porsche. gregorius93, breyzipp, F1Racer68 and 2 others like this. My most highly anticipated game of 2017. Is it just me, or do the graphics look much better than PC1? gt6champnk69, Coquico and davidt33 like this. Is not like any of us will live long enough to enjoy Gran Turismo 8. Maybe our grandkids will have fun with it in the Playstation 25. Racecarman, Coquico, super_gt and 6 others like this. Looks like the Mclaren F1 a bit to me. Ian Bell mentioned the much improved graphics will blow us away. gt6champnk69, imported_rik19, F1Racer68 and 2 others like this. Mclaren is developing and replacing models in a neck-breaking speed. Crazy they are already replacing the 650. Even more crazy: they are already throwing their recently established brand style out the window. This car looks cool, but it doesent really look like a Mclaren. bremics and boxster233 like this. oneloops and forzaturismo like this. Coquico and Dresden like this. I'm really happy to see SMS get exclusive deals with car brands as well, it means they are a force to be reckoned with in the virtual racing industry. And I am perfectly fine for these 1-year car model (not brand) exclusive deals the car brands make with the games. Forza Horizon had the Lamborgini Centenario for 2016 and guess what, from early 2017 on the car popped up in Real Racing 3. I'm sure "our" McLaren 720S will pop up in FM7 as well, but that will be the January 2018 car pack at the soonest. What I don't like at all though is gaming companies being totally retarded and claiming exclusive rights for tracks. You know, for example a certain hill climb track for a certain studio that fails to release it's games on time. I mean... lol, that exclusiveness is sitting gathering dust somewhere in the lands of the rising sun. SZRT Ice, bremics, JohnScoonsBeard and 2 others like this. Exclusivity makes no sense for circuits or brands. (Fortunately Porsche realised it) But specific cars for a short length of time, that's not too bad. SZRT Ice, JohnScoonsBeard, Dresden and 1 other person like this. The 650S started as the MP4-12C and guess how long ago that came out? McLaren hasn't properly replaced anything (650S being a 12C facelift) yet with this being the first replacement. Lots of new models coming along sure, but not at break neck speed. The headlights look awful to me. The car looks like a 570 that's been crashed into head-on by two semis in the front fender areas. Somehow we dragged GT into the PCars section, but I still laughed anyhow. lancia delta hf, Dresden and F1Racer68 like this. I wouldn't hold my breath on that. Rumor is Porsche licensing dictates "us or Ruf, but not both". Of course existing games such as AC, whi added Porsche as a DLC are the exception. This would apply to new games only if true so pCARS 2 would fall under that. Again, this is a rumor, but it would make sense that Porsche would not want their carsnshown along side a 3rd party tuner. I think I read somewhere that this new RUF has nothing to do with Porsche anymore. Did it ever? I thought RUF was just a tuner company that just tune Porsches. It still looks like a Porsche body to me. And it does to most people who see it. That's all that really matters in the eyes of Porsche's marketing and legal teams. Yes I used to see them as special, but way too many models and releases now for me..
Today at the Geneva Motor Show, RUF introduced to the world a fitting tribute to the Yellow Bird: The 2017 RUF CTR, a brand-new, rear-engine speed freak that, for the first time in RUF history, is built on a completely bespoke chassis rather than a production Porsche platform—even though the styling is straight out of Porsche's history book. JohnScoonsBeard, Rotorist, jake2013guy and 1 other person like this. 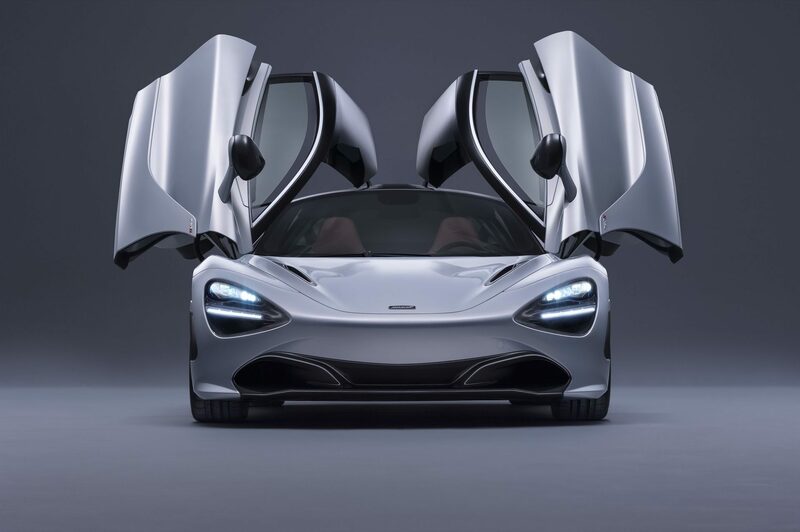 So much for that 720S exclusivity. mister dog, JohnScoonsBeard and jake2013guy like this.